By the pure nature of it, receiving an inheritance tends to come at a time when we are grieving, and at this distressing time, we need to understand whether the inheritance itself impacts a Centrelink aged pension benefit. The key to this is the size of the inheritance, and is dependent on one’s existing wealth and how this wealth is structured. The Age Pension payment will stay the same if you are under the assets test and receive a small inheritance. It could reduce the Age Pension, or in the worst case, cancel the Age Pension if you are over these limits. The pension will be canceled if total assets exceed the upper threshold limit of $556,500 for a single homeowner or $837,000 for a couple homeowner. Gifting or transferring their entitlement to another person. Retaining money in the deceased estate for a prolonged period. The above strategies generally have limited impact and have limited benefit as Centrelink has rules on the amount you can gift. Amounts gifted above $10,000 per financial year and $30,000 over 5 financial years are considered as an asset and deemed to earn income for the next 5 years. Transferring your entitlement to another person is also considered a gift in the eyes of Centrelink. Once the estate proceeds are able to be paid, Centrelink will look to assess your entitlement as an asset. Most people are not aware Centrelink can assess funds held in an estate and as such keeping funds in the estate for a prolonged period may not be a viable option. One strategy that is effective is to spend on the things a lack of capital has previously made difficult. We often see clients complete renovations on their house, take their dream holiday or invest in assets that are either exempt or have limited Centrelink penalty. The advice of a financial planner can help minimise the chances of Centrelink issuing the dreaded request for repayment of overpaid entitlements. In keeping with our theme this quarter of planning today how you set up a will, and how you distribute an estate is an area we can help clients with. We know discussing finances while grieving is draining and to talk about future events and possible strategies now is far better. If you or any family member would like to discuss estate planning, Centrelink, or social security rules associated with inheritances do not hesitate to give us a call. On the point of estate planning it is far more than simply making a will. Successful estate planning incorporates a range of disciplines and skills including financial planning, tax planning, and the skilful use of trusts and asset protection strategies, and needs to be considered in association with personal insurance, investment and superannuation strategies. Generally we all have some idea what will happen with assets on death, but what about a mentally incapacity or total disability. Effective estate planning involves orchestrating the estate to ensure that wealth is passed exactly the way that you intend to chosen beneficiaries, in the most financially-efficient and legitimately tax-effective way. Some points to consider in that process include ensuring Investment and Superannuation strategies are structured correctly Personal risk insurances and asset protection are in place Age care funding and strategies are considered for partners Nomination of the beneficiaries of the estate are clear and updated to reflect changed circumstances over time. 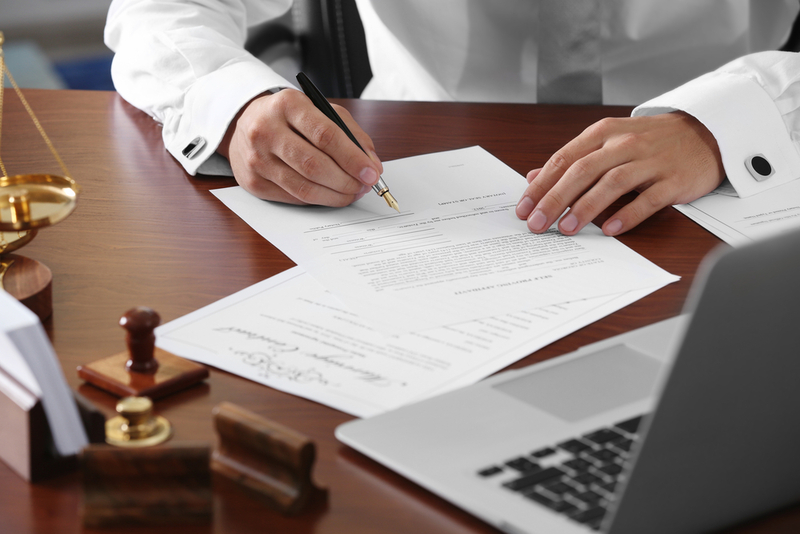 The Appointment of an Executor determining if there is a requirement for a Power of Attorney or a Testamentary trust.